中国的001A型航空母舰可能在数月内服役（下） [美国媒体] FINALLY: China’s Type 001A aircraft carrier may go into service within months. 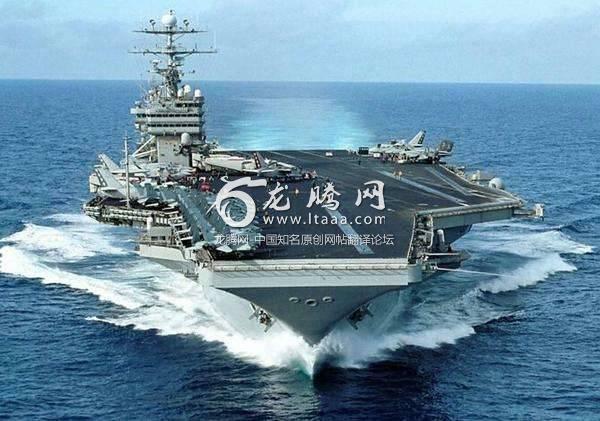 FINALLY: China’s Type 001A aircraft carrier may go into service within months. jack hook ,that is a casino, it’s not going to be a threat to you. Twin carriers to protect FON of civilian trade routes. Oh wow, a STOBAR carrier that requires planes to carry extremely light loads is really a threat to US CVN which planes can take off fully loaded. Good job China to be world pacemaker so that there is righteousness and without injustice. GO USA MISSILE THAT PIECE OF JUNK . . AND LET'S RECYCLE IT .. . .
@orgullo MEXICANO orgullo MEXICANO . @jack hook Goodbye Americunts get ready to be invaded by Africans. @黄浦 Protect yourself? From who? In the centuries of Chinese existence, who has been threatening you in the last 500 years? Who is threatening China from sea, land or space? China is building these offensive weapons to try to manipulate the world. They will fail miserably! Stop saying stupid things fish eater. My friend just went to China and says it's poor and ugly plus you're now have a dictator. But Chinese are fast learners and hard workers its won't take them too long to surpass the US they already did in many fields the only thing they lack behind US is jet engine technology but that gap is closing closer everyday. Naughty Tech Rider: Instead of saving the world, the world might be crashed since war is drawing closer and closer. If China really wanted to save the world, she should withdraw her claim to the South China Sea, and disarm her military, and declare she will solve territorial disputes legally. Hey! Hmong why you hate Chinese so much, did they raped your wife or kills your family members or something. As Laotian I love Hmong people because they contributing the beautiful and enrich Lao cultures. I just hate Vang Pao and even Boun Oum those fuckers are greedy and I am grad they died. @IlIllIIl lllIlllIlI Don't be stupid! Europe will join the US like they did during WW2 to defeat the evil ones! @coolwitme1 America is leaving NATO haven't you heard? America is all alone now thanks to Trump.